Expanded nanocomposite production is an evolutionary and emerging technology in the field of porous materials, because it’s characterized by combining the structural characteristics of the nanocomposites with the lightness of the polymeric foams. 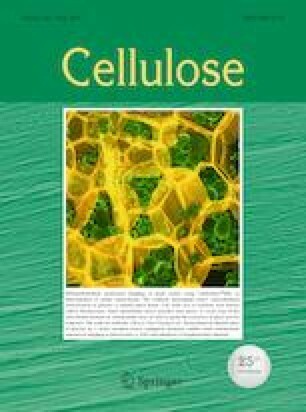 Three different processes were used in the present study: (1) extraction of two types of nanocellulose: cellulose nanofibers (CNFs) and cellulose nanocrystals (CNCs), both from curaua fibers. CNFs were obtained by mechanical defibrillation method and CNCs by 2,2,6,6-tetramethylpiperidine-1-oxyl (T.E.M.P.O. )-mediated oxidation method. (2) incorporation of reinforcement in a polystyrene matrix, producing nanocomposites in the following concentrations: 0.25%, 0.50% and 1.00% (w/w). (3) nanocomposite expansion with supercritical carbon dioxide fluid (scCO2), a new expander agent trend. The nanocomposites all had increased storage and loss moduli in relation to neat PS. In the expanded nanocomposites, the incorporation of CNFs promoted an increase in the compressive strength and a decrease in the cell size in comparison to the samples reinforced with CNCs and polystyrene foam. In the nanocomposites produced with CNCs, no significant variations were observed when compared to pure polystyrene foam. The authors would like to thank the Brazilian Ministry of Labor (MTE) and CNPq for the financial support.